The Gosling valley was once a valley of peace and prosperity. In Gosling it seemed the sun always shined, your neighbors smiled, and the harvests were bountiful. Yes, life in the valley was good. Factor in the mushrooms, and well, life wasn't just good, it was great! Ah yes, the mushrooms. The valley was full of them, and each one was special. There were enormous mushrooms that were used as homes, and small ones that could be brewed into liquor (including everyone's tavern favorite, ShroOOom! ale). Some mushrooms were best buttered and fried, while other mushrooms were typically dried and smoked. There were mushrooms that healed the sick, and even some that could make magic! Then the troubles began. Bizarre creatures prowled the valley, the wildlife fled, and once full larders laid bare. The citizens of Gosling smiled at each other no more, instead spending their days hiding in terror. Worse, with the blight upon the land the mushrooms that once provided so much now provided so little. Even the casks of ShroOOom! ale were almost dry! Big Will, an old farmer, sought out the source of the evil. Nestled high in the hills, he found the source: a dank and dark cave that oozed evil, a terrible open sore in the land that spewed forth nightmares. Big Will did not go in, though. He'd let someone else have all the glory. Someone, such as YOU! You are Rapius, mighty farm laborer. The blood of the Gods do not flow in your veins. You were not prophesized about a thousand years prior by three blind crones. Yet it is you, Rapius, that will seek out and destroy the source of evil. Rapius, grab your lantern and make haste! For the good of the people, the lands, and the mushrooms - especially the mushrooms! Have you seen what they're charging for a pint of ShroOOm! ale lately? Go forth, descend into the earth! Leave a tramp and come back a scallywag! All of Gosling awaits your triumph - your triumph in the lair of the Medusa! 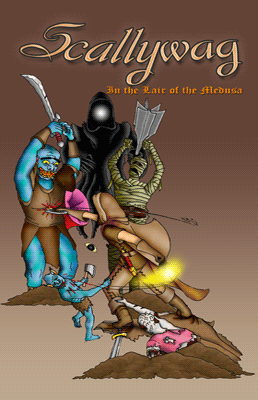 Scallywag: In the Lair of the Medusa is a single-player, action orientated dungeonbash of unlimited potential. Taking the role of Rapius players fight their way through eighty levels of randomly generated dungeon exploration, braving dozens of unique subterranean dangers in a quest to cleanse the ultimate evil within the catacombs. Down in the dark players will gain gear, craft items, learn magic, eat 'shrooms, turn to stone, become invisible, get drunk, be hungover, learn to fly, speed up, muscle up, regenerate, smoke fungus, get diseased, get lost, get found, and more! 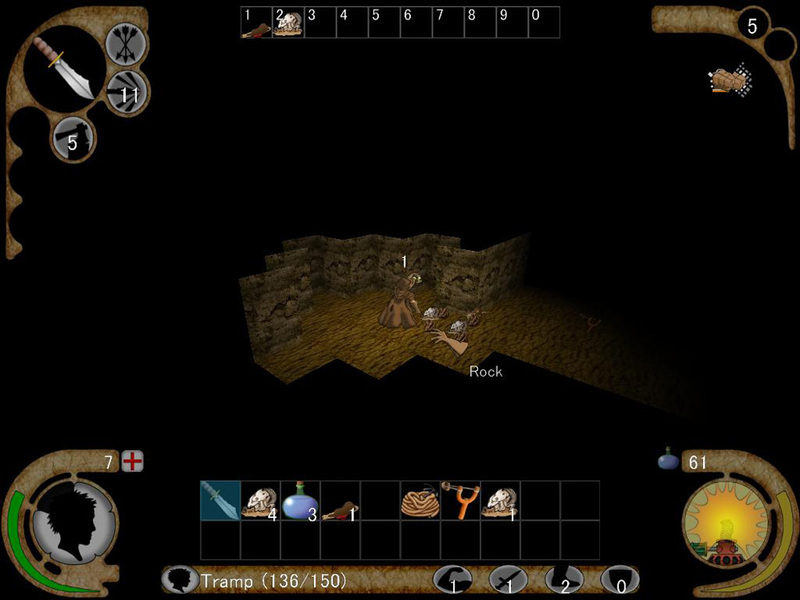 Careful use of Rapius' lantern will allow players to strike from afar, or for tough encounters, sneak by silently in the dark. 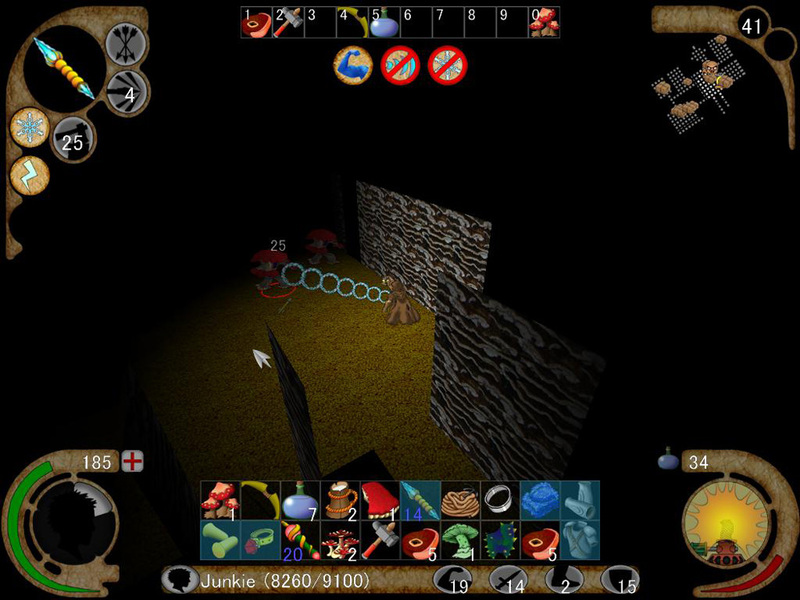 Scallywag: In the Lair of the Medusa also comes complete with RAGe, the Random Adventure Game engine. 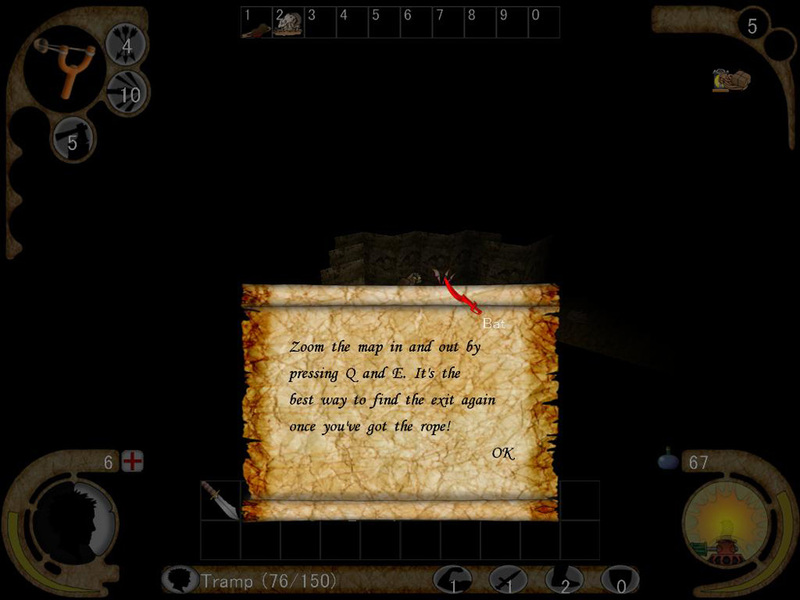 Craft whole new adventures for Rapius, or even make entirely new games! Everything (and we mean everything) can be modded with RAGe, no programming experience necessary! Do you have what it takes to survive eighty levels of terrible beasts, cruel hazards, and some mind blowing mushrooms? Find out in Scallywag: In the Lair of the Medusa! 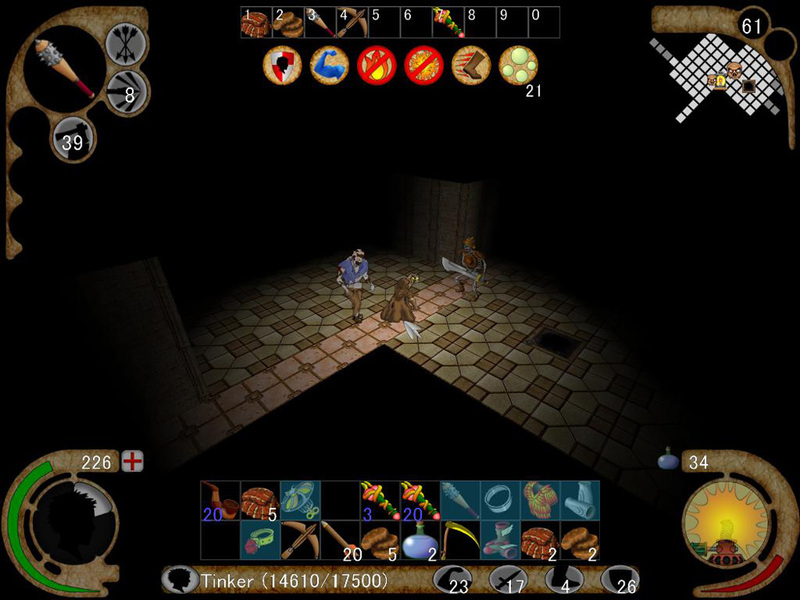 - Single-player, real-time dungeon exploration. 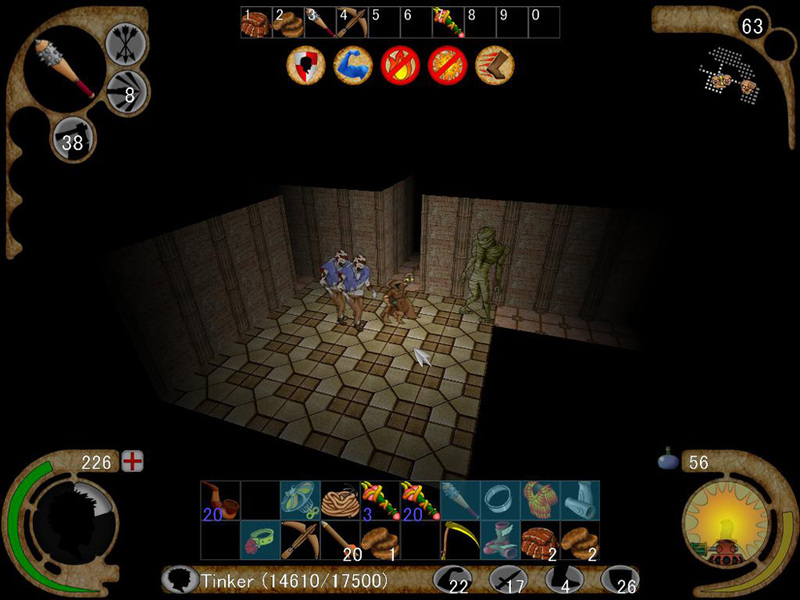 - Nearly 40 hours of gameplay with eighty levels of dungeon. 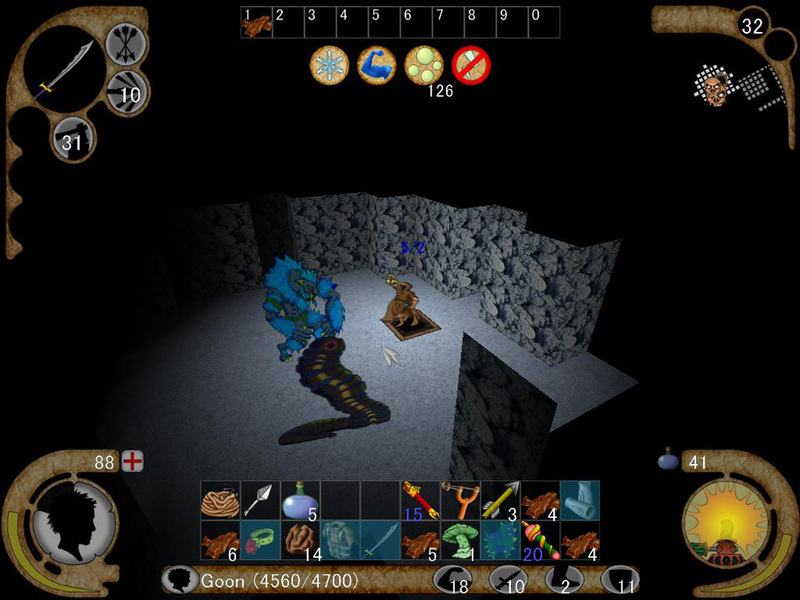 - Eight different worlds (Dirt Caves, Insect Nest, Tagloth Dungeons, Ice World, Fungus Gardens, Magma Caverns, Necropolis, Lost City), each with a challenging end boss. - Environmental challenges and puzzles. 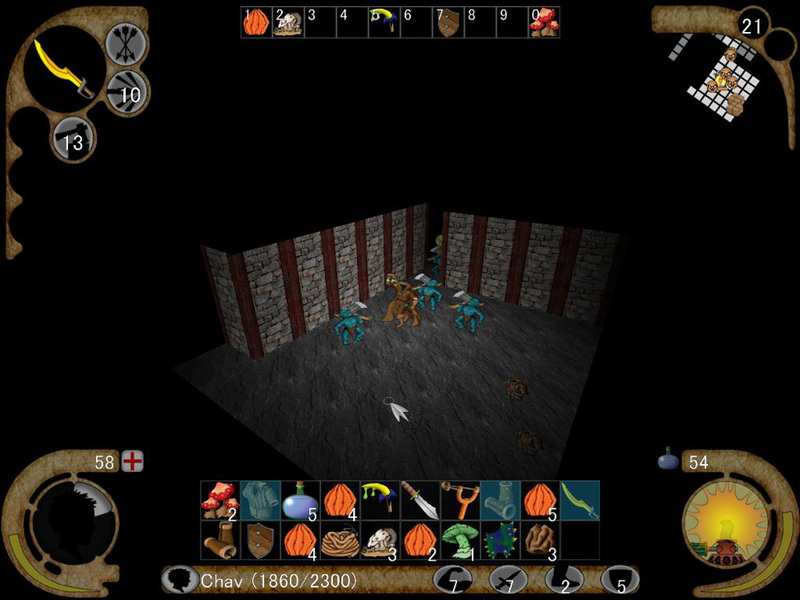 - In the tradition of NetHack and Rogue the player faces a brand new, randomly created dungeon at the start of each game. - Keep the lantern lit! 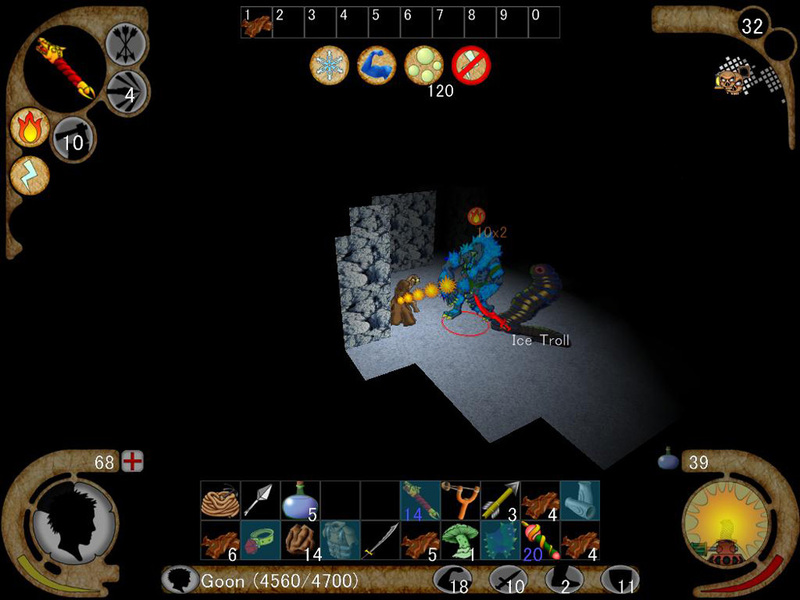 Burn your lantern fierce to get the drop on monsters from afar, or burn it low for stealth. The brighter the lantern, the quicker it burns oil though, so keep an eye out for more oil flasks! - Collect over eighty items. Magnificent magic wands, mushrooms, potions, artifacts, compounds, and much more can be found on your journey. Some are charged items, others are one-shot, and then there are the ones with semi-random properties. Hey, don't point that wand over here! - Are you hero enough to face four increasingly tough difficulty levels? 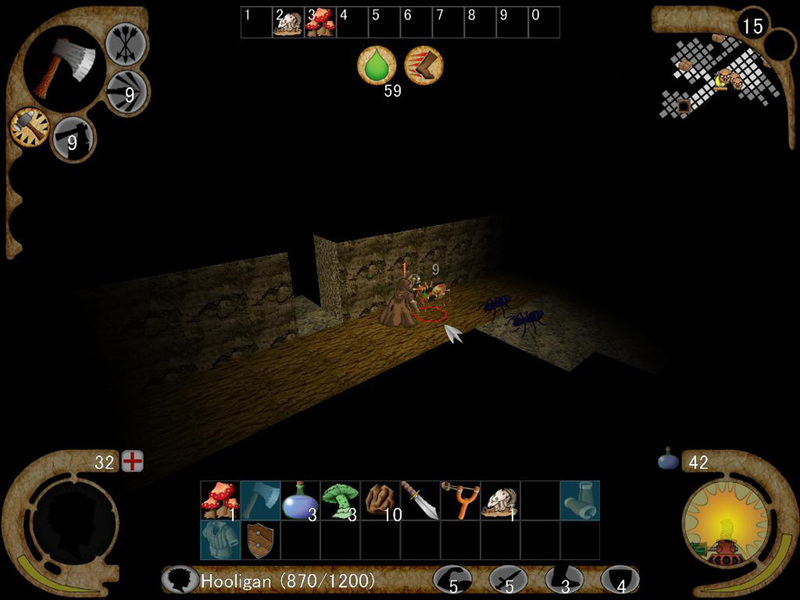 Easy, medium, hard, and nightmare play modes ensure that just when you think you're the biggest, meanest threat in the dungeon, there'll be a critter ready to show you a new way of thinking. - Dozens of unique foes to battle, each with their own special strengths and weaknesses. - Craft new items by combining compounds. - Advance in twenty levels of experience and go from a Tramp to a Scallywag! 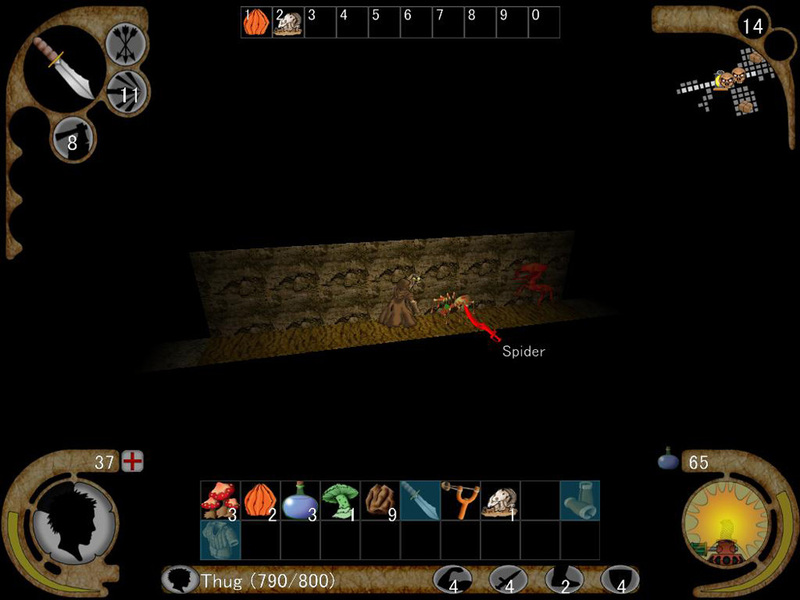 - RPG-lite lets players focus on the action. - Over twenty single conditions can affect Rapius, running the gamut from lycanthropy to alcohol poisoning. Many of the conditions stack, and several interact with each other in interesting ways. Discover for yourself the thrill of being a werewolf who just ate a bad batch of 'shrooms, while drinking cheap Gobbo ale! 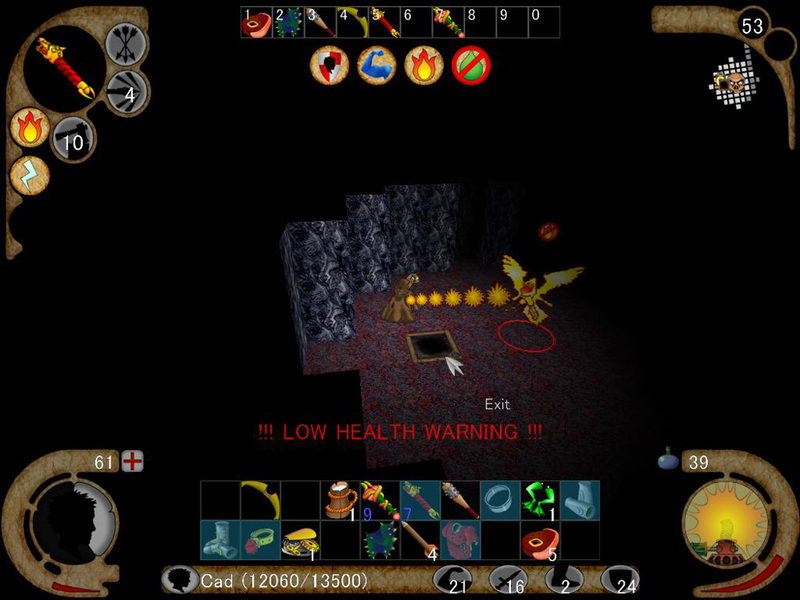 - RAGe (Random Adventure Game engine) is included with the game and allows anyone to mod Scallywag to their hearts content. Add new monsters, magic items, conditions, levels. Go all out and mod everything and change it into a completely new game! With RAGe your adventures are never over! - Bash zombies, do 'shrooms, grab loot, burn oil, learn to fly, learn magic, explore worlds, get drunk, get fast, get lost, get found, get the rope, get out! This game is just fun. Shrapnel calls it a Dungeon Bash and that is exactly what it is. Highly Recommend this if you like to just have a great time.